Shortly before transferring custody of the plates to his brother Jacob, the prophet Nephi explained what he called “the doctrine of Christ” (2 Nephi 31:2, 21). This doctrine, Nephi assured his readers, was necessary to follow to obtain a promise of eternal life from God. “Wherefore, ye must press forward with a steadfastness in Christ, having a perfect brightness of hope, and a love of God and of all men. Wherefore, if ye shall press forward, feasting upon the word of Christ, and endure to the end, behold, thus saith the Father: Ye shall have eternal life” (2 Nephi 31:20). So what is this “doctrine” or “gospel of Christ” Nephi and other Book of Mormon prophets spoke of? Furthermore, how can the Book of Mormon contain a fullness of this doctrine if it doesn’t explicitly include such teachings as salvation for the dead, eternal marriage, eternal progression, and other distinctive Latter-day Saint concepts? 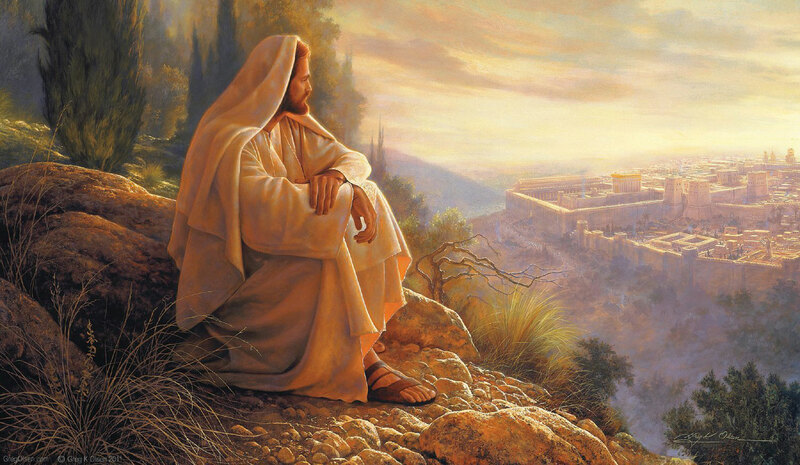 Nephi indicated that he wished to speak “plainly” about the doctrine of Christ because of how important it would be for God’s children to straightforwardly understand this doctrine in their lives (2 Nephi 31:2–3). This may very well explain why Nephi limited his formulation of the doctrine of Christ to the set of plain teachings examined above. As such, the Book of Mormon can rightly be said to contain the fullness of the gospel even without explicitly mentioning every doctrine that has been revealed over the course of the Restoration. While it is common today for Latter-day Saints to use the term “gospel” in speaking of any doctrine revealed in the latter-days, a close reading of the Book of Mormon indicates that the text has something very specific in mind when it talks about the doctrine or gospel of Jesus Christ. President Ezra Taft Benson taught, “The Book of Mormon contains the fulness of the gospel of Jesus Christ (D&C 20:9). That does not mean it contains every teaching, every doctrine ever revealed. Rather, it means that in the Book of Mormon we will find the fulness of those doctrines required for our salvation.”5 The gospel of Christ, in its fullness, is found plainly in the pages of the Book of Mormon. It is the gospel of salvation that will ensure all those who “press forward with steadfastness in Christ” eternal life in God’s kingdom (2 Nephi 31:20). Andrew C. Skinner, Third Nephi: The Fifth Gospel (Springville, UT: Cedar Fort, 2012), 83–98. Andrew C. Skinner, “Jesus's Gospel-Defining Discourse in 3 Nephi 27:13–21: Doctrinal Apex of His New World Visit,” in Third Nephi: An Incomparable Scripture, ed. Andrew C. Skinner and Gaye Strathearn (Provo, UT: Neal A. Maxwell Institute for Religious Scholarship, 2012), 281–308. Richard N. Holzapfel, “The Book of Mormon: An Ancient Book with a Modern Message,” devotional given at the 2008 Campus Education Week at Brigham Young University, online at https://www.youtube.com/watch?v=0dUPWlyS384. Noel B. Reynolds, “The True Points of My Doctrine,” Journal of Book of Mormon Studies 5, no. 2 (1996): 26–56. Noel B. Reynolds, “The Gospel of Jesus Christ as Taught by the Nephite Prophets” (Provo, UT: FARMS, 1994). Robert L. Millet, “This Is My Gospel,” in The Book of Mormon: 3 Nephi 9–30, This Is My Gospel (Provo, UT: Religious Studies Center, 1993), 1–24. Larry E. Dahl, “The Doctrine of Christ: 2 Nephi 31–32,” in Second Nephi, The Doctrinal Structure, ed. Monte S. Nyman and Charles D. Tate Jr. (Provo, UT: Religious Studies Center, Brigham Young University, 1989), 355–75. 2. Additional synonyms for the doctrine of Christ include: Gospel of the Lord (1 Nephi 13:24), Gospel of the Lamb (1 Nephi 13:32), Gospel of the Messiah (1 Nephi 15:13), and Gospel of the Redeemer (1 Nephi 15:13). 3. Noel B. Reynolds, “The True Points of My Doctrine,” Journal of Book of Mormon Studies 5, no. 2 (1996): 49–54. One might alternatively understand the principle of enduring to the end as not an additional principle of the gospel per se but rather as subsumed in the first principle of faith in Jesus Christ, i.e. one endures in faith to the end until one has the promise of eternal life from God the Father. 4. Reynolds, “The True Points of My Doctrine,” 56. 5. Ezra Taft Benson, A Witness and a Warning (Salt Lake City: Deseret Book, 1988), 18–19.